Nylon silk, PET Silk, Stainless steel silk. High-tension silk plate making. Special equipment, the taut mesh reliable and stable tension in the network box is currently on the market the most common type of mechanical tension and pneumatic pulled. 2 Push-pull free retractable guide rod. 3. Pneumatic given network to make the tension more uniform and more stable to prevent the mesh torn. 4. 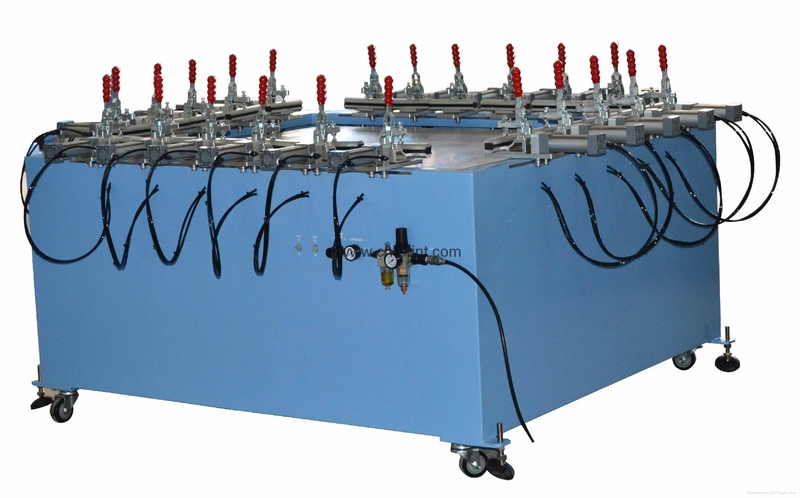 Pneumatic-drive pulling silk, micro adjustment, conducive to the tension of flexibility and control. 5. High-strength aluminum alloy pull the net head, the screening is more stable. 6 Free disassembly, easy to move.